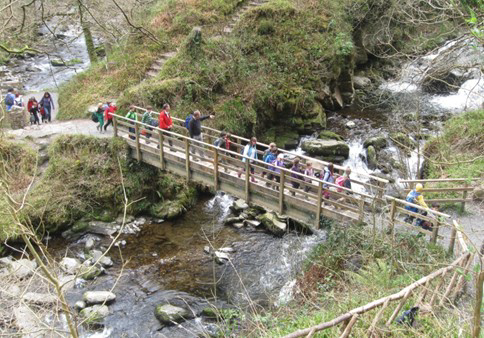 On Tuesday 1st April, Oak and Ash Class went out for the day to track the River Lyn from source to sea. The trip was linked to their study of the River Nile. We had a fantastic day, with glorious spring sun-shine shining down on us for the whole day! We started our trip on the top of Exmoor on Exe Plain and were able to see the watershed of the Exe and Lyn rivers. 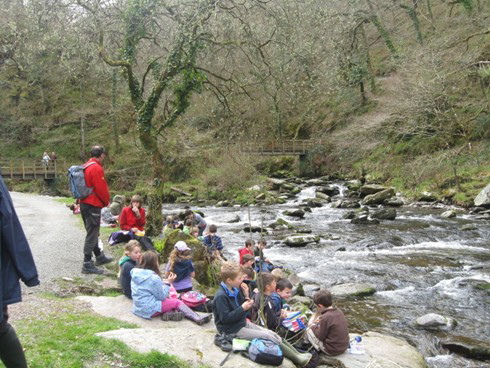 We then travelled to Watersmeet to have our lunch in a beautiful setting. 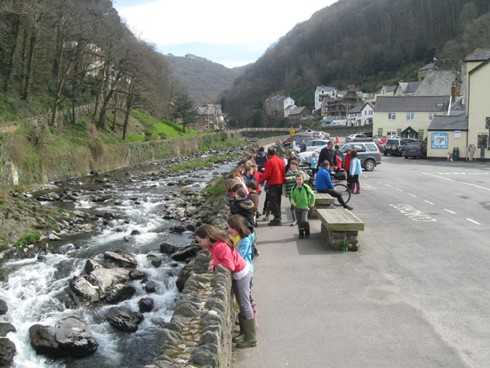 Finally, we explored the mouth of the river at Lynmouth. We would like to thank the Exmoor National Park for supporting and organising the day. Their Education Of-ficer, Dave Gurnett, led the trip. 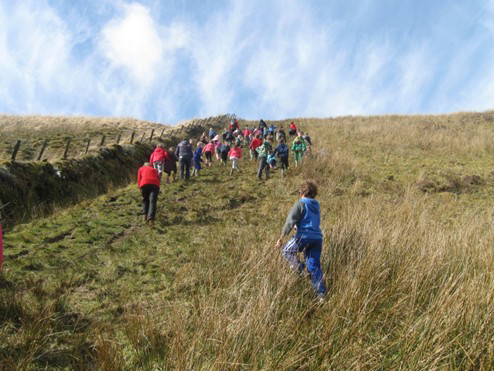 Also, the National Park supported parents with the cost of travel – donating 75% of the cost of the coach.